People decide to expand their homes in all sorts of ways and for all sorts of reasons. These reasons can really change over time as trends and current realities influence one another and us with some fluidity. 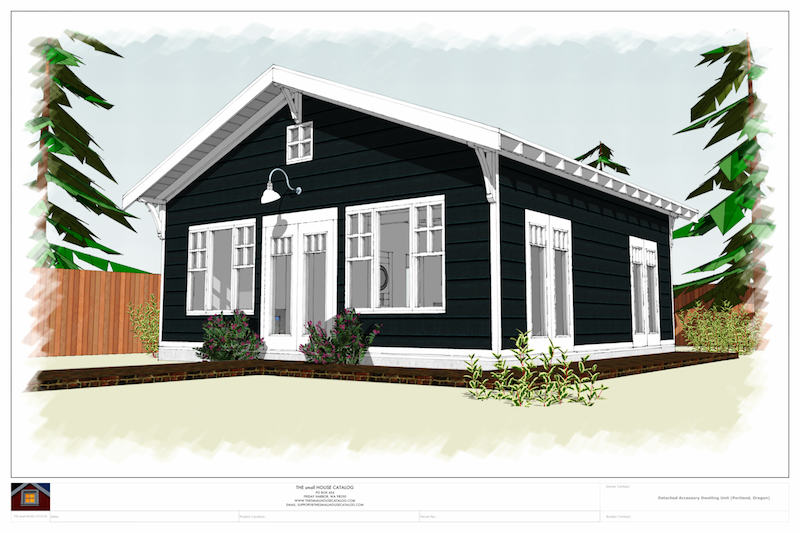 A short time ago I offered some ideas about ADU’s and DADU’s (Accessory Dwelling Units and Detached Accessory Dwelling Units). ADU and DADU projects can offer a number of resource options, from providing extra room for family to providing a potential source of rental income. Building a whole new house on the same lot as your home comes with certain restrictions and requirements, and you should familiarize yourself with these things as much as possible before undertaking the project. I thought I’d share some potential areas to explore in advance. This won’t be an exhaustive list of circumstances to be sure - any number of unique situations can (and do) crop up in a given location but here are some issues that we’ve heard people contend with unexpectedly or that have given them pause for thought. If you are living on a small urban lot or other population dense area it is highly likely that your building code will require you to maintain distance between your primary structure and the new ADU that allows for fire codes to be met and discourages the ability of a house fire to spread easily from house to house. If your setbacks only allow a build in a narrow area of your side yard or backyard, you will want to be certain that the ADU you are designing will not cross those setbacks or, if it does, that you can mitigate for proximity by incorporating fireproof materials into your building in a manner that satisfies the code. This might include nixing windows on one side or using rated fire materials on certain exterior walls of the building. This can be straightforward or complex to achieve - but in my opinion, all problems are easier to troubleshoot ahead of time than half way through the design or permitting process. Some research with your local building departments can be very helpful when it comes to design and feasibility. Your local fire code may also have things to say regarding parking and emergency crew access to your home(s) so it would be worth finding out if your adding a structure to your property will in any way affect parking, driveway or turnaround requirements with them as well. Mind The Gap…But Not Too Much! Another big thing to concern yourself with in terms of adding a structure to your lot is that your proposal be mindful of all required setbacks…these setbacks are sometimes obvious, as in maintaining proper distances from property lines. But you might also want to check in with your local building department to verify whether there are specific rules in terms of allowable distance from the existing house on your property. In our county, for example, ADU’s are required to be within a particular distance (10 feet) from the main home, and there are other potentially restrictive requirements must be met as well before permitting. That’s something else to check out with your local jurisdiction. It would also be advisable to verify with all utility providers that the proposed structure can be fully serviced and will not interfere with existing service provisions. Knowing which side of the house you’d like the utilities to enter and exit would be helpful to have in mind ahead of time - or finding out if connections need to be made at a standardized location (eg: east wall, front wall or same side as existing dwelling, etc) per your utility’s policies. Calling your water, sewer and electric or gas utilities could potentially save you a headache down the road and help you with your design and layout process. Some building departments are completely separate from their counterparts in zoning. The rules of both must be satisfied. These hands sometimes don’t shake as seamlessly as you’d expect. Be sure to find out ahead of time if you are meeting local zoning requirements when undertaking a design. For example…a building department might find nothing structurally problematic with your 22 foot high ADU submission, but your local zoning department might only allow a 17 foot high structure in a given neighborhood. That could be the case even if the main dwelling is 25 feet high! This is just an example, but what I mean to say is: Assume nothing. Check with everyone and you will be properly educated about the process and can make your experience much less likely to elicit stress. So there it is in a non exhaustive nutshell. Most of what you want to determine ahead of time for a backyard cottage, mother in law suite, ADU or DADU overlaps with the footwork you’d need to do to obtain a building permit on an empty lot. But if you’ve never built from scratch, that might be new territory. And what is certainly potentially new territory for any addition to a single lot is that the rules are likely at least a bit different than for a brand new build. Rather than being scared off, take the time to ask questions from the right departments. It can be incredibly helpful. Next week I’ll explore another option (building on an addition) for those wanting to expand their footprint even if it seems preferable or if some local requirements can’t be met in your proposed detached unit.